Stick Fighting develops proper timing. We offer extensive training in edged weapons and stick combat. In today’s society, training in weapons is an essential element in personal self defense training. Training in edged weapons and stick fighting also greatly enhances the personal attributes needed to be a complete and effective fighter. The great need for self-preservation was the genesis of these systems. Throughout the ages, invaders and evolving local conflict imposed new dynamics for combat. The Filipino people developed battle skills as a direct result of an appreciation of their ever-changing circumstances. 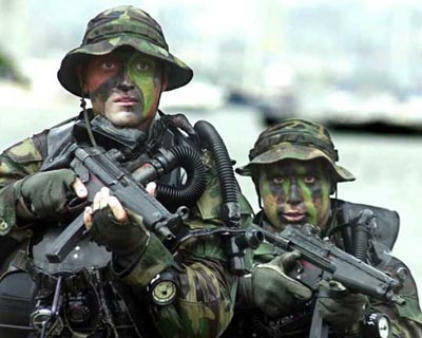 They learned often out of necessity how to prioritize, allocate and utilize common resources in combative situations. Filipinos have been heavily influenced by the phenomenon of cultural and linguistic mixture. Some of the specific mechanisms responsible for cultural and martial change extended from phenomena such as war, political and social systems, technology, trade and of course, simple practicality. 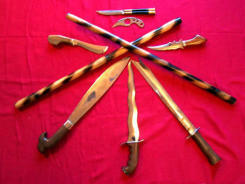 Practitioners of Filipino martial arts are noted for their ability to fight with weapons or empty hands interchangeably. Weapons are treated as an extension of the hand, and weapons training is considered to promote proficiency in empty-handed techniques. The weapons vary in design, size, weight, materials and usage. Realistic training scenarios with weapons in the environments one might encounter in self defense situations are encouraged. A major event that occurred in the 90s (which went virtually unnoticed by the civilian martial arts world) was the integration of Filipino based martial arts as part of official US military training and law enforcement training. This includes corrections, probation, pre-trial services, and diplomatic protection services. The practice of Kali teaches us flow and how to transition from weapons to empty hand self defense. Today you don’t need to look very far to see the influence of the Filipino martial arts has had on the United States military. If you pick up the United States Marine Corps field manual Close Combat (MCRP 3-02B), dated February 18, 1999, you will find strikes and blocks (Chapter 3 Hand-Held weapons) that are identical to what you’d find in a typical kali class. The manual contains step-by-step moves for knives, and even sticks (a section titled Combative Stick Techniques). We offer extensive training in edged weapons and stick combat. 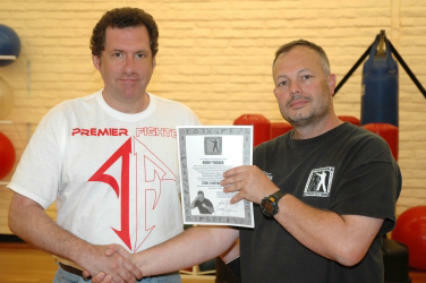 In today’s society, training in weapons is an essential element in personal self defense training. Training in edged weapons and stick fighting also greatly enhances the personal attributes needed to be a complete fighter. Here we have a group involved in knife defense in the back of a shopping center.